What can a freelance writer do for you? Primarily, provide a way for you to share your interesting project, pastime, home or business with a wider audience. I regularly contribute stories and features to well-read Canterbury titles, including Avenues, Latitude and Homed (Stuff's home and interiors product). I also write for various papers published by Waterford Press and am commissioned from time to time by clients including the University of Canterbury ('Chronicle'). I love to promote what is happening in Canterbury to a wider readership. My work has been published in North & South (Four Corners), Little Treasures, AA Directions, Heritage Matters, Good, NZ House & Garden and NZTODAY. So if you have something new, different or inspiring to share, whether at home or work, let's talk! Flexibility comes with the territory for freelancers, so I can also assist with corporate communications, such as compiling editorial for newsletters, annual reports or press releases. I am experienced in this area of work: let me know your brief, word count and deadline and I can get the job done. 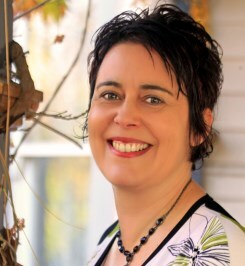 Kim Newth (North Canterbury Media) is a Canterbury-based freelance writer.